We provide you with the right medicine based on your prescriptions. 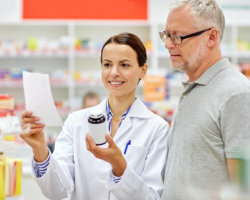 Our pharmacists at Church Square Pharmacy can cater the right medicine as prescribed by your doctor. The moment we received the script, we can process your medications and get it ready for minutes or hours depending on the type of medicine you need. For more information about our prescription medications, please call us at 216-721-1772 to talk to one of our trusted pharmacists.